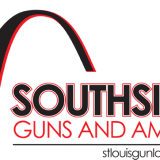 Southside Guns Firearm Purchases Get a Free Range Day At Sharpshooters! - What's New! HomeBlogGun Shop NewsSouthside Guns Firearm Purchases Get a Free Range Day At Sharpshooters! Southside Guns and Ammo, the firearm store for Southside Jewelry and Loan that shares a parking lot with Sharpshooters Indoor Shooting Range, has a terrific offer! Their partnership with Sharpshooters has allowed them to offer a special that most stores can't - buy a firearm from Sharpshooters and receive a FREE day at the brand-new, largest indoor shooting range in St. Louis, Sharpshooters! This deal includes any firearm purchased at Southside, so come in and check out the area's largest selection of pistols, rifles, shotguns, ammunition, and accessories! If they don't have a firearm in stock, they can custom-order it for you, saving you the hassle of finding exactly the weapon you want online. The highly trained staff of firearm experts can help you in other ways, from providing tips and tricks to experienced shooters, to helping newbies find exactly the gun they need for their requirements, Southside has what you need. For more information, visit www.stlouisgunsales.com, call (314) 351-GUNS, and stop in at 8101 Gravois Road, St.Louis, Missouri, 63123 to find out how Southside Guns and Ammo can get you the firearm that you want, with a free day at the range to boot!